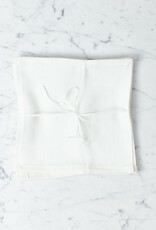 Lakeshore Linen Lunch Napkin - White - 13 x 13 in. 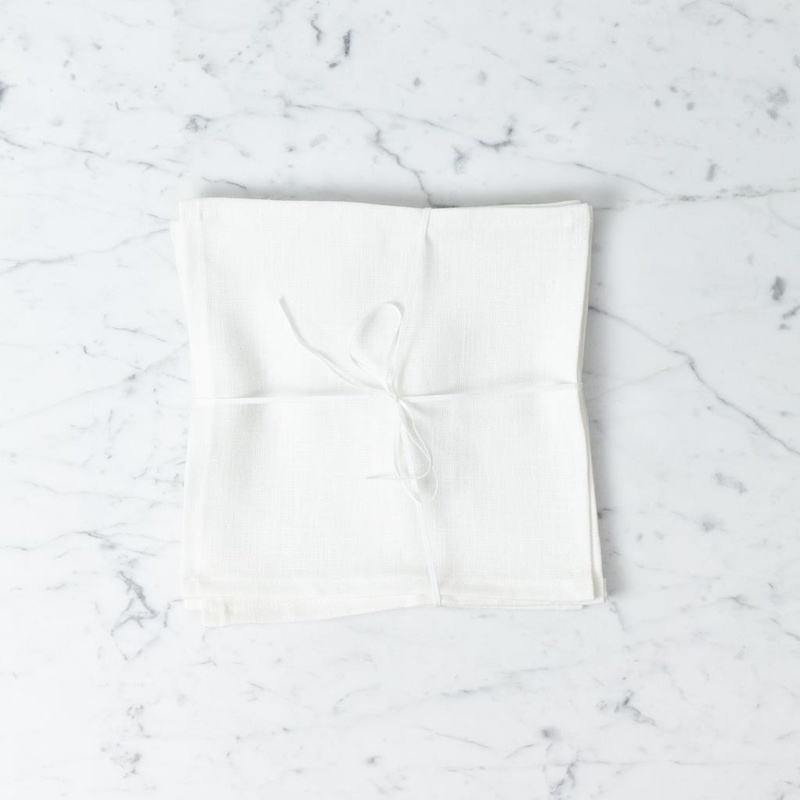 Home / Lakeshore Linen Lunch Napkin - White - 13 x 13 in. Think linen is fussy and high maintenance? Think again. These exquisite handmade linens are here to blow your mind. Super strong, incredibly durable, and totally machine washable, these linens are naturally elegant and built to last. Made by hand by our dear friend Joann right here in Minneapolis from raw linen grown in the ancient flaxlands of Flanders, Belgium, we use these all day everyday. That's why we asked her to make us a graduated line of sizes suited to all of our favorite times of day: cocktail hour, snack time, breakfast, lunch, dinner, tea time, and, of course, fresh bread o'clock. The pure white feels just the right amount of fancy and the natural color (yes, this lovely storm-tossed grey green is just how it grows) is the exact same color as tea, coffee, and whiskey. In short, perfect for wiping up spills. Use them and abuse them, they just get better with age.